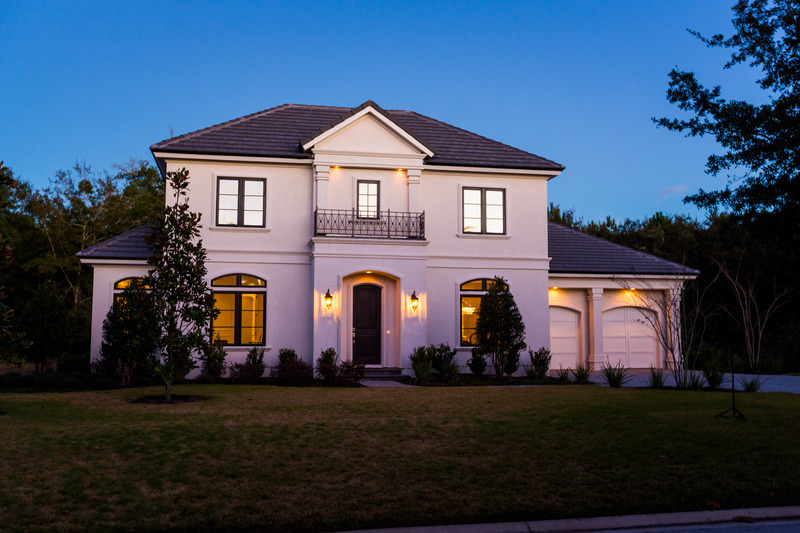 Today we’re showcasing Dreambuilder 21, a beautiful custom home in Pablo Creek Reserve built for our client, Steven Starkey. Steven’s home is a great fusion of the traditional and the contemporary. From the outside, a classical, symmetrical facade greets the visitor. A raised portico, casement windows and simple detailing create a feeling of beauty and serenity. Inside, the dramatic entry opens up to a two-story foyer with wrap-around balcony and a straight-on view to the backyard and pool. 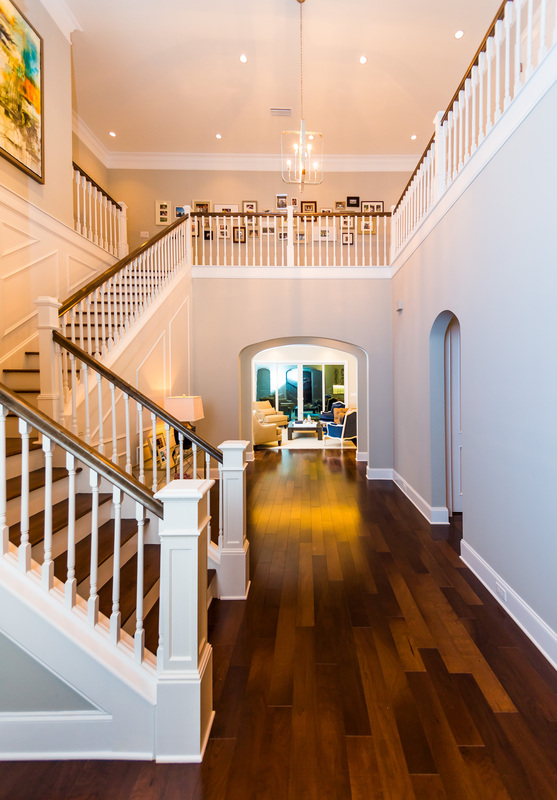 The floorplan is a combination of classical symmetry and contemporary openness, with formal study and dining rooms at the front of the house, and an open great room/kitchen/breakfast area in the rear. Mouldings abound in keeping with tradition – but profiles and coloring are kept sleek and simple, yielding a contemporay look. Recessed ceilings with LED lighting and clean, monochromatic color palette further marries the traditional with the contemporary. River City Custom Cabinetry custom-built all of the cabinetry in the home, keeping with the clean lines and simple aethestic while maintaining a traditional formality. The kitchen features a large California island, quartzite countertops, Thermador appliances and a large butler’s pantry with wine refrigerator. The master bath is a study in traditional marble – but with contemporary patterning. “Wagamama” tile covers the floor and shower, complemented with carrara marble and Kohler plumbing fixtures. Upstairs, two more bedrooms with ensuite baths round out the 3000 SF home. The backyard is an oasis. An inground pool by Surfside Pools is surrounded by large concrete pavers and cypress trees, creating a lush atmosphere. Two large lanais seamlessly integrate the indoors with the outdoors. The custom-designed mahogany outdoor kitchen makes outdoor entertaining a breeze. You can read the Steven’s complete testimonial here. To view more fantastic pictures of Dreambuilder 21 please visit our Dream Home Gallery. And if you’re ready to start planning your own Dreambuilder home, please contact us today! and receive news and tips about home design.